This SMK model, the P10 Shorty is a new design of bullpup which is in multi-shot. The bullpup rifle has a precision rifled bull barrel. 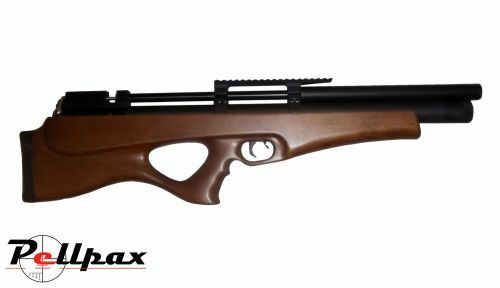 The rifle features an adjustable trigger and a wood stock. It is a bolt action loaded rifle. which has a weaver scope rail firing up to 12ft/lbs. Full power, custom wooden stock. • Overall Length 79cm / 31"
Add this item to your basket & spend an extra £0.01 to apply for finance.